Ketchup The Latest: Get Mushy With SKY’s Romantic Offerings till March 12!! Get Mushy With SKY’s Romantic Offerings till March 12!! Valentines Day may be over but love continues to linger in the air this February. Discover more reasons to fall in love all over again with SKY’s mushy offerings exclusively on SKYcable Pay-Per-View. Experience a lovey-dovey moment with two blockbuster hits right in the comforts of home. A Second Chance features the continuing love story of Popoy and Basha which takes off from the original movie, One More Chance. This time, the couple gets married and vows to love each other forever. However, the realities of married life doesn’t come in a bed of roses for both Popoy and Basha as they struggle to keep their marriage from falling apart. 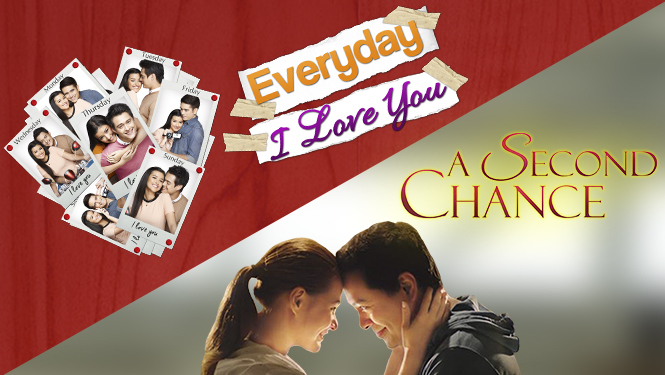 A Second Chance is directed by Cathy Garcia Molina and stars John Lloyd Cruz as Popoy and Bea Alonzo as Basha. The film became a box office success and was released in various countries worldwide. Find out why love deserves A Second Chance by subscribing within February 15 to March 12 to enjoy 3-day unlimited viewing in for only P199 on Channel 704 in high definition and on Channel 21 in standard definition. In Everyday I Love You, catch the story of three individuals caught in a love triangle as they strive to find true love. Audrey Locsin (Liza Soberano), a hopeless romantic, believes that it is possible to find forever. She is in a relationship with Tristan Montelibano (Gerald Anderson), who is a laid-back haciendero from Bacolod. While the latter was in a coma, she falls in love with Ethan Joseph Alfaro (Enrique Gil), an ambition-driven TV executive from Manila. Audrey finds herself in the midst of making a tough decision: to love the man of her dreams or choosing the man who makes her dreams come true. Experience forever in Everyday I Love You and subscribe within February 15 to 27 to enjoy 3-day unlimited viewing in High Definition right in the comforts of home for only P199. Watch it in high definition on Channel 702 and standard definition on Channel 22.